As I near the close of my first pregnancy, I reflect back on the past 9 months and what I've learned. I tell ya there are so many things about pregnancy that no one seems to tell you beforehand and many more things that you just can't understand until you are experiencing it. I wanted to share a few things, both trivial and wise, that I will take away from this pregnancy. Banner via Oopsie Daisy Decor...all banners are 50% off today only! You don't have to be a hero- I remember getting a bad cold the week after finding out I was pregnancy and trucking through it without drugs so I wouldn't pass anything onto the little baby growing inside of me. And then weeks later I got SICK. If you've followed my pregnancy you'd know that I was chronically sick from about week 7. I managed to stay alive and sane for 3 weeks, getting sick 6-7 times a day, not wanting to throw in the towel and ask for drugs. Then I got the flu. I remember it well... Jon was visiting home for 5 days and I was battling the flu and extreme morning sickness. I felt as if I was admitting defeat but that cold January day, picking up Zofran and Mucinex was the best thing I could have done for myself and my baby. I still got sick occasionally on Zofran but it made a huge difference in my life physically and emotionally! The Lord made these drugs to help us through the pain and I am a huge supporter of them. If you're experiencing extreme morning sickness (or even have a cold/etc), don't feel bad asking for meds. Pregnancy became enjoyable when I was able to get my head out of the toilet! Get things done early- I was really sick during my first trimester and into my second but with the help of meds, I felt good and was able to start on baby related projects. I remember people thinking we were crazy for painting our nursery and ordering our crib before 20 weeks but I am SO glad we did. I hit 30 weeks and really slowed down. And forget doing anything physically productive after 34 weeks. I can barely stick my hands into the washer to move the clothes to the dryer without getting tired. Use that 2nd trimester energy for your advantage. You will be so happy you did! Nothing is genetic- my mom had 4 symptom free pregnancies and 4 all natural, drug free, SHORT deliveries. So far, my pregnancy has been drastically different. My older sister had an easy pregnancy but a rough end to her pregnancy/delivery so we aren't convinced that pregnancy is genetic. Let's hope my mom's lack of stretch marks will be genetic! Don't assume that if your mama was sick with you, you'll be sick, etc. Boys make you sick- the wives tale is that if you are really sick, you're having a girl. Sorry folks. Wrong-oh. Take advice with a grain of salt- I've learned to close my mouth, smile, and nod when people give unwarranted advice. In most cases, I want to listen and soak up as much information as I can from mommies but there have been times where I wanted to slap people in the head when they suggest I drink gingerale and crackers to help my sickness (don't you think I've tried that?!?!). I know for a fact the advice will get more intense when the baby comes...sleeping, breastfeeding, soothing, vaccinations, etc. The beauty of life is that we are all different and despite our parenting decisions, we are all doing a great job. Invest in maternity clothes- because I promise, there will be a day where your non maternity stuff doesn't fit! I found out I was pregnant right before winter so I stocked up on maternity sale items from Old Navy when they were dirt cheap. If you are pregnant in the summer, buy shorts! I was lucky that a family friend gave me tons of gorgeous maternity clothes so I am never at a loss for maternity bottoms. Buy clearance during the off season and don't be afraid to check out Wal Mart, Target, Ross and other discount stores. Spend the money, you want to still look cute! Ask for help- this has been hard for me. I hate saying no, I love doing things for other people, and I like doing things by myself. I don't know why the heck it took me until 34 weeks to ask for help at the grocery store... what a life saver! I've learned that people genuinely want to help when they ask so I am embracing it knowing how hard even the littlest things are for me. I know I need to get more comfortable asking for help when the baby comes too. Learn to say no- again, hard for me because I am a people pleaser. I haven't used the pregnancy card much to say no but now that I am tired and sore 99% of the day, saying no is a lot easier. My ideal night these days is a meal with my husband and relaxing, playing games, and being in our own home. As much as I want to go and do tons of stuff before baby is here, I'd much rather rest at home. I need to learn that people aren't offended if I say no. I need to learn to say no when the baby comes, especially if I am too tired for visitors, etc. It is okay Ruthie! Pregnancy is a lot harder than I expected but a heck of a lot better. I have a new found respect for pregnant women and especially those chasing around their older children. It is tough! But man is it fulfilling Growing a tiny life inside of me has been the most precious experience of my life, I feel so blessed to be chosen to be a mother. As hard as it has been on me, I cannot wait to do it again and pray that I get the opportunity! Both my marriage and my relationship with the Lord have become so much stronger during this pregnancy. How can it not? I couldn't have done this without the love and support of my husband and the grace and mercy of our God. What a gift this has been, I cannot wait to meet this little boy! Moms, what is something that you'd like to pass on to future moms that you learned during pregnancy? And for the future mothers, what is something you've always wondered about pregnancy? You're courage is so inspiring even for someone who is not pregnant and not at that stage yet in life! I am so happy to hear how you've strengthened parts of your life through difficult and not always so pleasant situations (morning sickness). I truly believe that The Lord uses us all in different ways to pull meaning out of whatever situation we are facing, and you always manage to pull such am eloquent meaning and lesson from life's many different phases! Your child will be so blessed to have a Mom and Dad who follow Christ! I can't WAIT!! As a been there done that with pregnancy woman and now having a two year old I can safely say I totally agree on all of this!!! Love this! I'm 19 weeks with my first baby (boy, too!!) and i've loved having your blog to look at and see where you were at each week :) thanks for sharing!! Wow this was an eye opener. I'm currently planning a WEDDING. Babies will come in a couple of years but getting these tips and hearing advice is still much appreciated and needed. Its good to know what to expect. Very true about people giving unwarranted advice. It's the same people who always ask, "Well, are you going to have a baby already?" You know, those people who have no filter and don't think before they speak. I can't wait to experience the feeling of being a mom. But, I gotta be a wife first. Such great advice!! My biggest issue is saying no as well. I try, but I always end up feeling guilty!! I can't wait for your little munchkin to come! You are very correct in that nothing is genetic! My mom had fast and easy deliveries for all 4 of us siblings and all were drug free. I on the other hand had a very long and not good delivery. Also...when they say that since your active during your pregnancy, you will have a nice & easy delivery...THAT IS WRONG! I was SUPER active and had a very long and scary delivery! I couldn't agree more with this post! I think another thing pregnant women should remember is to not compare your pregnancy to others. Just because your friend is 8 months pregnant and feels great doesn't mean you have to feel the same way. I so needed this post today!! Only 17 weeks so I have a long way to go but loved reading this! This is great! I feel like there are so many things that happen with your body that people don't tell you. You think it's just a belly and maybe a sore back and swollen ankles but there are so many more surprises! 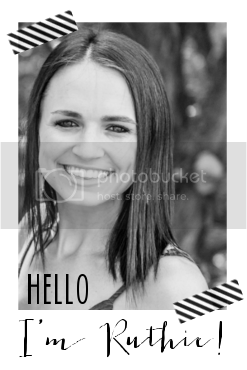 I'm new to your blog and love it! Congrats on your pregnancy and soon to be baby boy. I love the take everything with a grain of salt. I've learned that childbirth and pregnancy are different for everyone and for me every baby of mine. But as horrible or as sick as I was when I was pregnant there is still such a miracle about it that now as my kids are 9 mths and 2 I still miss being pregnant sometimes. I know your almost done and probably so ready for the baby to be born but just enjoy every second. So relax, read a book an get your sleep now before baby boy arrives! Something I wish I would've taken advantage of earlier is not trying to be superwoman. I have an almost 17 month old daughter and I am 7 months pregnant with another little girl and I tried my hardest the first half to be the perfect wife/mother. Perfect dinners, laundry always done, full days of learning and activities with my toddler...I didn't have to do all that. Finally after the millionth time of my husband askin me to relax...I'm officially relaxing and in doing so I am not only enjoying my daughter, but I am enjoying my pregnancy. after my husband wrote a post about what pregnancy taught him i have one sitting in my drafts too! its definitely a crazy ride! love this journey :) and happy i found you along it! you are so honest and real in your writing. thank you so much for sharing! Such great advice! 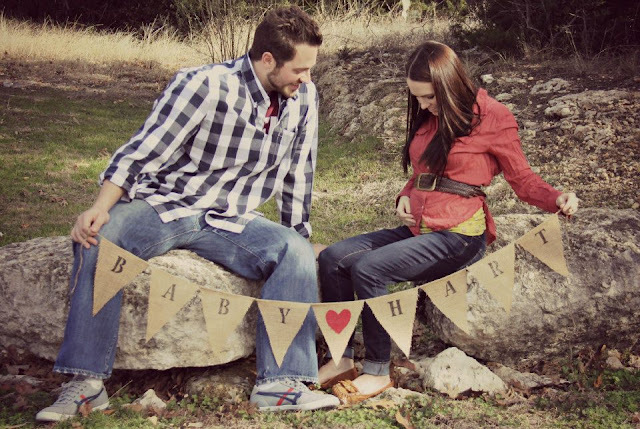 It's nice to hear a very realistic point of view from pregnancy :) Can't wait to meet baby hart and hear his name!! I was sick with both kids, boy and girl. It took me until 12 weeks to give into the meds too and I agree, it complete changes things and makes pregnancy better! Next time I will definitely ask for them right away. Unless I don't need them, heard once you have a boy and girl you won't have morning sickness... Hope this wise tale is true haha. I've enjoyed reading about your experience with pregnancy. Can't wait for your little guy to get here! Such great advice and so much of this I've experienced too, as I'm about to hit my 28th week with our baby girl, due in October! It's been really hard for me to ask for help, but I can tell a major decrease in energy with this final trimester. Like you, it also took me a while to give in and get the nausea meds, but I'm soooo glad I did- what a lifesaver! Love this post!